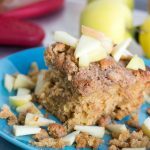 You guys MUST try this carrot apple bread! 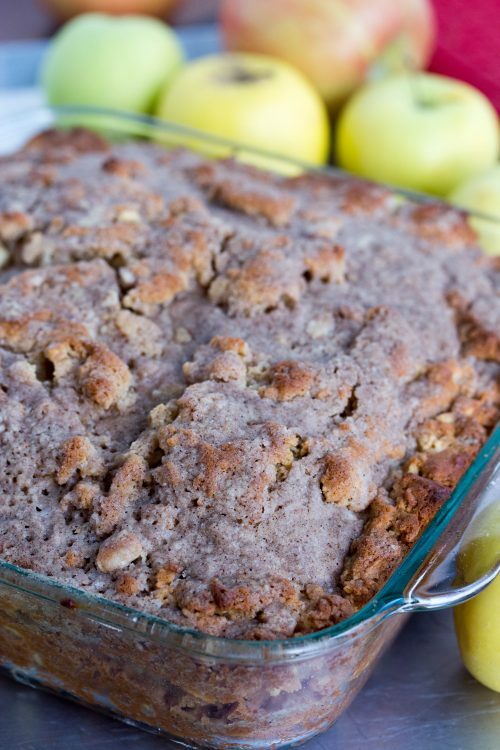 This gorgeous loaf is packed full of healthy treats and tastes delicious too! I mean look at look at this bread! Wait, forget looking- make it! Then eat it… and try to share some with others. There is something about this carrot apple bread that reminds me of fall and is perfect for ushering in the change of seasons. 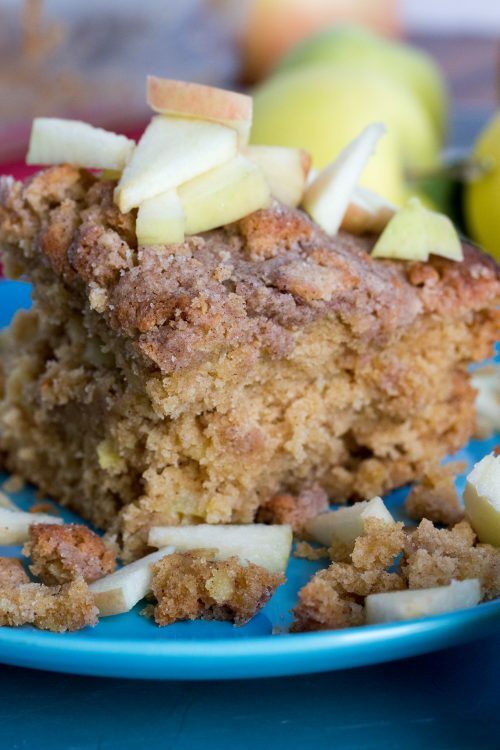 The scrumptious apples, honey and cinnamon are so comforting! Just smelling this bake makes me want to curl up with a good book, a cup of tea and of course some of this bread! Oh and it’s fall! Yay! Cue the burgundy sweaters, cute boots and pumpkin everything! Ok well, at least in NM it will still be a month or so until it gets cold enough to wear sweaters throughout the day (if it gets cold enough at all- maybe in January!) Although it is always sunny here, the mornings do turn crisp and getting to go camping is still super fun! One year, my friends and I went camping at a place called Fourth of July Canyon. This canyon is full of maple trees, not something you see a lot of in NM, so it is a true gem! As a bonus the leaves were all turning red! It felt like we were in the Vermont! Well, at least what I imagine Vermont to feel like! What are some of your favorite things to do during fall? I love to go camping, pick pumpkins, read lots of books and eat fall inspired foods! I am actually trying to grow sugar pumpkins right now, and will hopefully be able to use them for lots of pumpkin pie in the next coming months! Hmm, maybe I could add a little pumpkin to this…. Yum! So many possibilities! 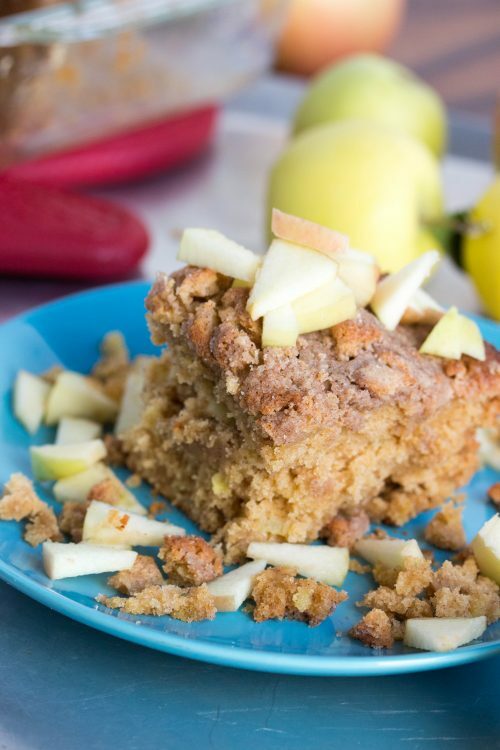 Anyways, back to this delicious carrot apple loaf, it has apples spread throughout, is the perfect texture, has a good amount of moisture, and can we just appreciate the amazing crumb topping! I love crumb toppings haha! Try to let it cool before you eat it, I know it’s hard! If you love this bread be sure to check out our other great breads here. 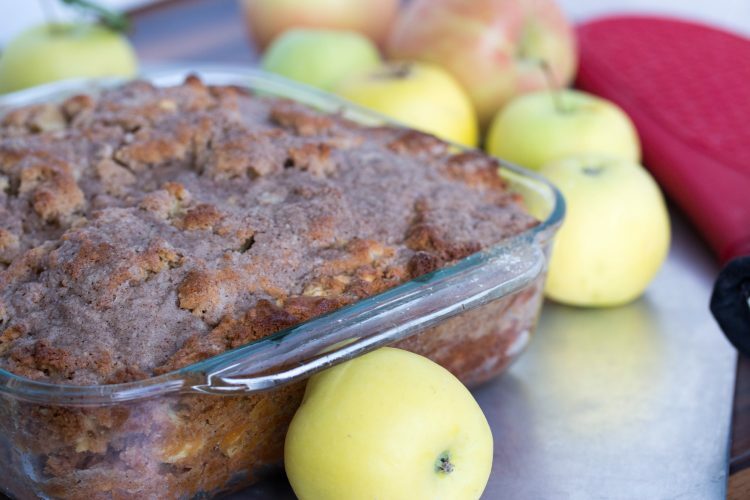 A delicious carrot apple bread that you will want to make over and over! Pre-heat the oven to 350ºF and grease a 9x5 inch loaf pan. Prepare the crumb topping if using. Mix the cinnamon, all-purpose flour, brown sugar and pecans together in a small bowl. Add melted butter or coconut oil and mix until the mixture is crumbly. Set aside. Prepare apples. Peel, core and chop the apples. Mix with honey and bring it to a boil in a small sauce pan with the cinnamon. Simmer for about 5 minutes. Turn the heat off and set aside to cool. Mix the flour, baking powder, baking soda and salt together. In a measuring cup or a cup with a spout, whisk together the yogurt, milk, egg, vanilla, honey, and carrot until well combined. Add wet ingredients to the flour mixture. Pour half of the batter of the cake onto the bottom of the loaf pan. Spread the cooked apples on top, discarding the cinnamon stick if using. Pour the rest of the batter over the apples. 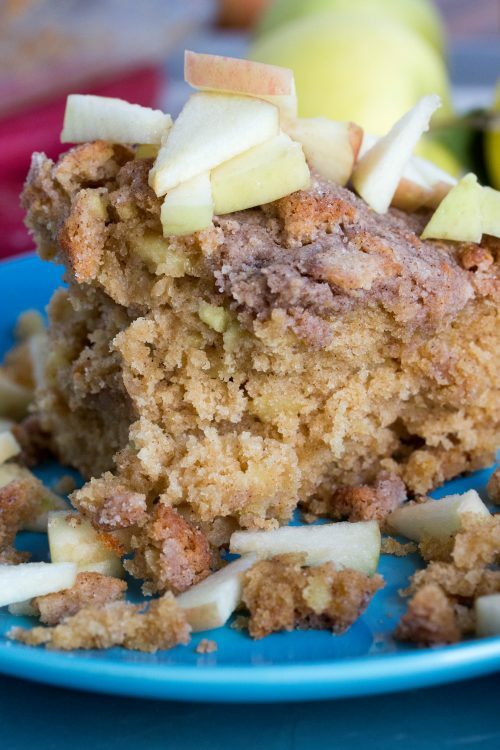 Cover with the crumb topping if using. Bake for 40-50 minutes. Cover with a piece of foil if the top is browning too fast. Test with a toothpick for doneness. Let the bread cool for 15 minutes in the pan and then turn it into a wire rack and let it cool completely before slicing it.